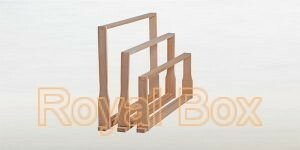 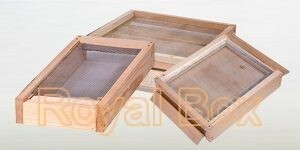 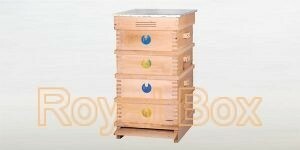 The standard wood used is dried pine or limetree with an equibalance humidity of 10-12%. 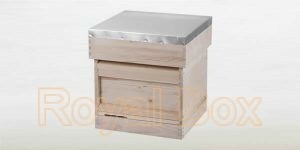 The price includes a precoat and a waterproof UV protection varnish. 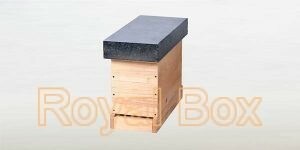 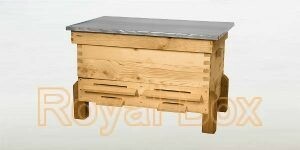 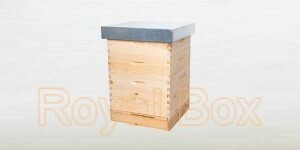 Should the client request the bee hives could be painted with a coloured waterproof paint. 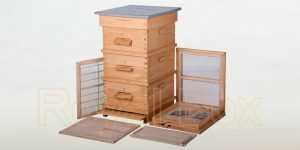 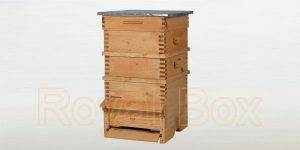 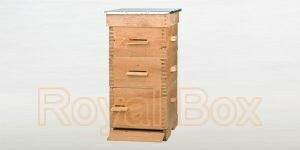 More information on the Langstroth bee hive is available from Wikipedia here and here , at Dave Cushman's website .